Currently we support [ROS-kinetic] on Ubuntu 16.04. If you are new to Linux or ROS, you might find links in the references section handy. 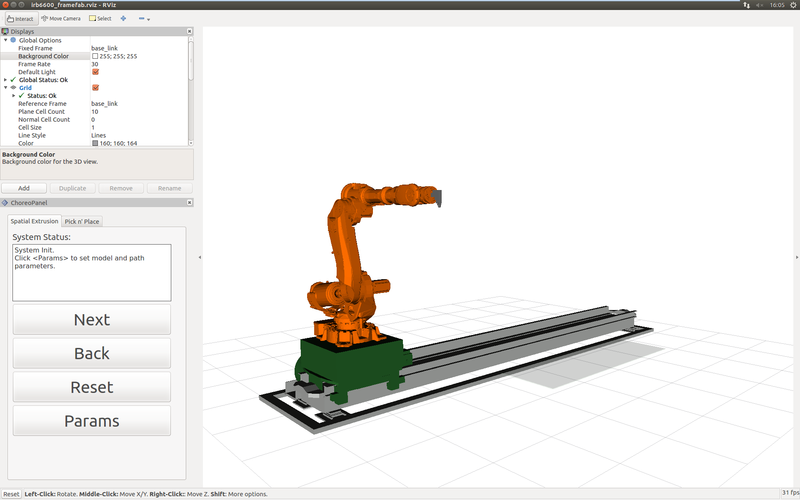 First set up your print model by clicking the Parameters button and set up model file path in Model Input (you might need to set up the robot start pose too). Save it and click Next. 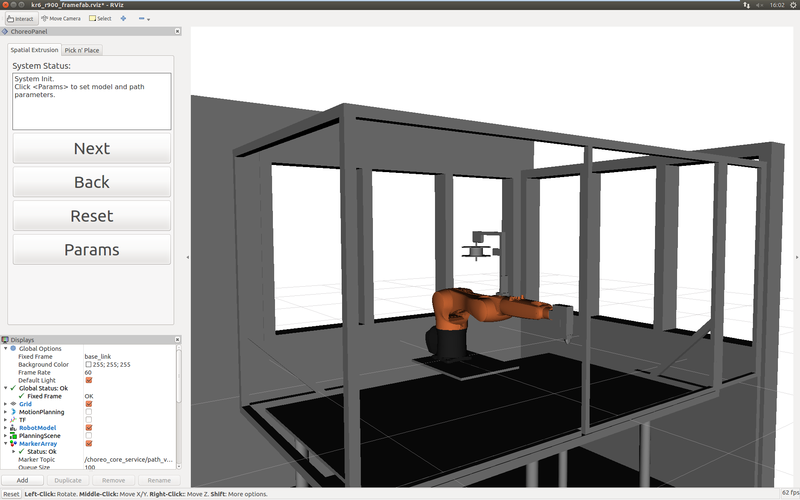 Some test models for spatial extrusion can be found here. More detailed instruction coming soon. If you are new to Linux: You may find it helpful to first do a quick tutorial on common command line tools for linux. A good one is here. For researchers and developers who wants to dive deep into the system implementation but not familiar to ROS, you may find the official ROS tutorial here useful.